What Can I Do If My Doctor Releases Me But I Do Not Feel I Am Healed Enough To Return To Work? | Pothitakis Law Firm, P.C. What Can I Do If My Doctor Releases Me But I Do Not Feel I Am Healed Enough To Return To Work? After a work injury, the ultimate goal for every employee is to heal as fully and quickly as possible. Injured workers want to get back to their regular lives—both personally and professionally. Often, with the help of a medical provider, it is possible to achieve this goal. After a period of care and recovery, employees can successfully resume their lives as before the accident or injury upon clearance of a doctor. There are times, however, when an injured employee does not feel healed or well enough to return to work despite their medical release. So, what can injured Iowa workers do? Are there any options available to dispute a medical release? The first and sometimes most simple solution is to return to the physician to discuss your ongoing symptoms. 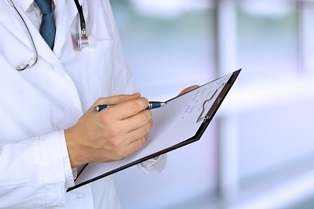 In many situations, the doctor can reevaluate your situation and offer further treatment. If that option fails, injured workers do have further recourse. The Iowa Workers’ Compensation Act states that employers or their insurance companies have the right to choose the medical care providers for injured workers. However, if the worker does not feel the doctor offers effective and appropriate treatment, it is possible to obtain a second opinion. To do so, it is necessary to file a special application, and an experienced workers’ compensation lawyer can be valuable in successfully navigating this process. Regardless of where an employee is in the process, it is important to continue to seek medical care if pain or other symptoms persist. Failure to obtain treatment is one of the biggest factors in unsuccessful workers’ compensation cases. If an employee does not pursue care, it can be taken as a sign that an injury does not exist or is not severe enough to warrant a claim. Injured workers and their doctors should determine together when an employee is ready to return to work. Pressures from employer and insurance companies cannot and should not force a worker back to the job before he is fully ready. It is important to use all available options to receive appropriate care and treatment before giving up or resolving your claim. If you or someone you love has suffered a work injury, you do not have to return to work before you are physically and emotionally ready. Call the experienced workers’ compensation attorneys at Pothitakis Law to learn more about your rights and options and find out how we may be able to help. What Can I Do If My Worker’s Compensation Claim Is Denied? Previous PostPrevious How Is The Weekly Workers’ Compensation Benefit Calculated In Iowa? Next PostNext Can I Obtain Compensation For Travel To Medical Appointments?